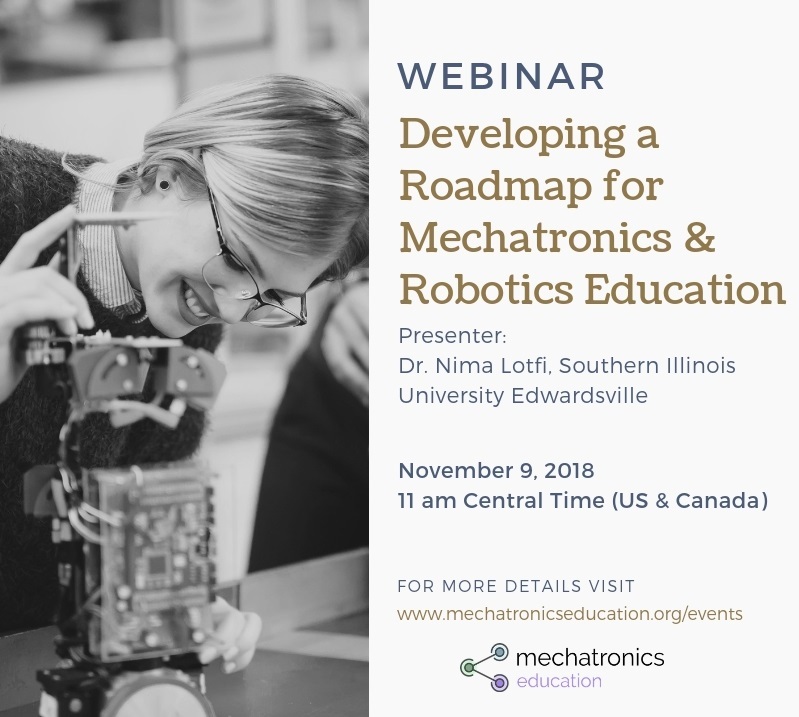 Join us for the next webinar from the Mechatronics Education Innovation series! On November 9, Dr. Nima Lotfi, will share the outcomes of the Future of Mechatronics and Robotics Education (FoMRE) workshop, held in conjunction with this year’s Dynamic Systems and Control Conference (DSCC 2018). The first FoMRE workshop attracted more than 30 academic and industrial professionals in the field of mechatronics and robotics engineering. The attendees represented a wide range of academic institutions, from small private to large public universities, as well as industry, and different stakeholders, from graduate students through to senior faculty. The presentations, followed by interactive sessions and discussions revolved around some of the important aspects of the mechatronics and robotics education. In this webinar, one of the workshop organizers, Dr. Nima Lotfi, will summarize the discussions and findings of the workshop. Furthermore, he will outline a proposed roadmap aiming to develop a diverse, inclusive community of MRE educators, students, & practitioners, define the MRE knowledge base, achieve recognition of MRE as a distinct engineering discipline, and accelerate adoption of MRE courses & curricula. As a follow-up to the FoMRE workshop, we invite all the workshop participants interested in getting involved in the community, as well as those who were unable to attend the workshop, and anyone else who desires to be a part of this nationwide initiative to shape the future of mechatronics and robotics engineering.